Triple T Day 8 Drawings Show-n-Tell! artists, Drawings, Treats Comments Off on Triple T Day 8 Drawings Show-n-Tell! 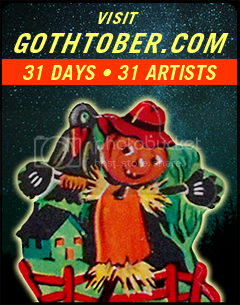 Visit www.gothtober.com and click on DAY 8 to enjoy a slideshow from the family known as Triple T! 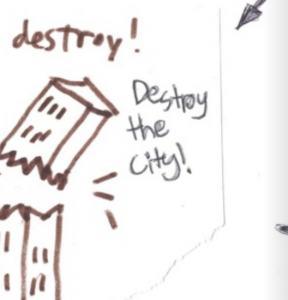 The drawings are available for download so that you may adorn your home or office with poster reminders of dragons, eggs, and destroying the city, and napping! Who doesn’t like napping? In other news, the photographer, the Mom of Triple T has shared some seasonal recipes from other blogs on her cooking blog, sloCooking, so if you want to check out free recipes for Scary Treats, Frankenstein Cookies, Halloween Cupcakes and more, give it a peek! Here is also a wonderful recipe for Triple T Chocolate-Avocado Mousse, which debuted at the Avocado & Margarita Festival in Morro Bay, where the requirement was to cook something for the guests using avocado.